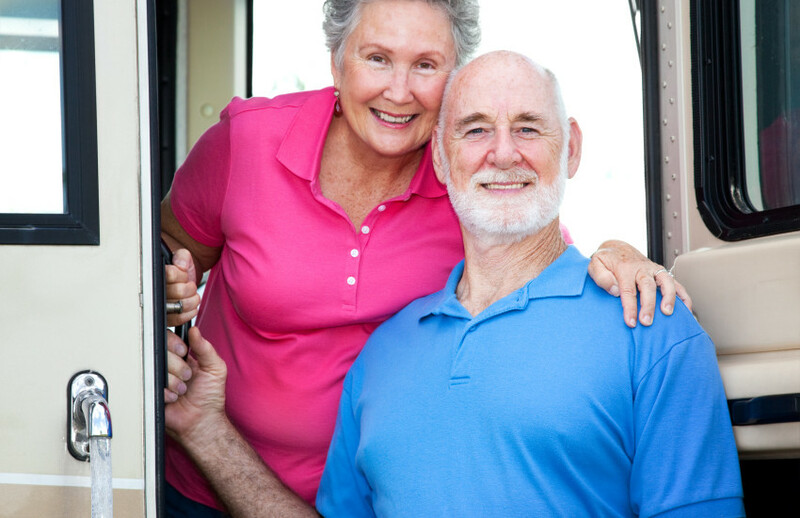 With so many of us living longer more productive lives, we see more and more seniors taking part in an RV vacation. Of course many are long term masters of the RV vacation, but what if you have never done an RV vacation before? As an older RV beginner, it can be very daunting to decide on the different options, know what to look for, and be properly prepared to handle all the situations that might arise. However, with this guide, you will have great base of knowledge, avoiding the many pitfalls and traps that other beginners fall into. Read on for essential tips and advice to ensure a successful RV vacation. Renting an RV from a reputable dealer offers a lot of advantages, perhaps the biggest two being that you get a well maintained vehicle that is suited to the trip you want to do, and you get access to great advice on everything from how to use the RV safely, which routes to take, best camp sites and even meals and provisioning considerations. Maintaining an RV is not quite like maintaining your house so the first thing a new renter will learn is the essentials of maintenance. You will be introduced to the key concerns you are likely to face such as checking propane gas levels, checking tire tread and pressure, hooking up the water hoses, tank drains etc., and maintaining the generator. Small problems in an RV might not be safe to ignore so if something goes wrong you need to be able to identify it and know whom to call. In the case of a rental RV is of course your RV rental Agency who typically have a 1-800 support line manned and ready. Our team is experienced in helping you diagnose any issues, can get help dispatched if needed, and will work hard to make sure your miss little or no time on the unlikely chance that an unforeseen maintenance issues arises. A well maintained RV is a reliable machine, but things like flat tires can occur and when they do a friendly knowledgeable back up is only a phone call away. If you are dealing with ongoing health problems,you should discuss with your doctor any RV trip you plan to take. Your doctor should approve of the trip before you decide to embark on the journey. You need to have a valid and current license for the vehicle you are planning to rent and you need to be comfortable with the responsibility of taking control of a large vehicle on public roads. Remember the aim of the RV vacation is to see beautiful country and enjoy a relaxing vacation, not get stressed out or tired from driving, so evaluate your capabilities and physical health before you set out. There are many questions to ask yourself and many precautions to take to ensure a safe and successful trip. Do you need to be close to emergency services? Do you have prescription medication that needs to be refilled in the middle of the trip? If that is the case, you should rethink that trip into the most remote areas of America. Check the cell phone coverage. Is it possible to call for help at every point along the way? Remember to check the fine print on your medications. Some medications need to stay within a certain temperature. They may lose their effectiveness if they get too hot or too cold, so make sure your medication is safe in your RV. If all is good, there is no reason not to. My family has seen parents touring New Zealand in their early 70’s and an Aunt and Uncle touring much of the US west over many years since retiring. They love it and so can you, but be smart and make sure your health and abilities are up to the task. You should have an idea of the type of vehicle and size you want. Make sure you test drive it and check to make sure that everything is in good working condition. Also, remember to keep in mind what your budget is. You want an RV that is big enough to enjoy, but no so big that its hard to drive, does not go where you want, and costs more to run. Our staff can happily help you pick the right RV for your needs. Make sure to book early in order to get the best deals on the RV that you want to rent. Here at Expedition Motor Homes, we want to make sure your trip to California is a memorable one. We have all of the latest and greatest RVs and our friendly staff is more than happy to help you plan out your trip. Contact us today at (818) 225-8239 or drop by our lot so you can pick out an RV for your next trip.